After making all sorts of calls to family and friends to share the amazing news, we decided it would be a good idea to have dinner and celebrate a little. We headed over to our favorite sushi spot and basked in the glow of it all. What a lucky gal I am! 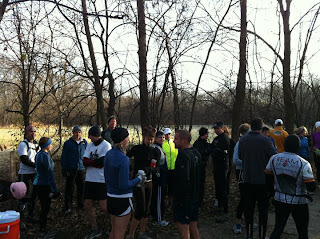 Saturday morning, we rose early to get ready for the day's CHUG run, out at Deer Grove in Palatine. A HUGE group showed up! There were over 50 registered and I think most people made it which made it even more fun. So many new faces, a bunch of veterans, all good times. Geof and I were running together, and Palatine native (recently transplanted back here via Oregon), Maria Clementi, joined us for her two laps and we really had a great time getting to know her. What a fun chick! It was really, really cold, and didn't warm up much through the day. Geof and I somehow managed to really overestimate the weather for the day and showed up in shorts...it was a tad nippy for that! After the first few miles along the 5.4 mile loop, we warmed up nicely and I could finally feel my feet and toes again. That's always a bonus! It was great to meet and run with Maria, filling her in on all things Chicago running, and hearing about her time in Oregon. After two loops, Maria was done as she had other plans that day, so Geof and I continued on for a third loop. It was cold again, and since we were pretty tired after a late evening the night before, we were reduced to walking the hills we had run the first two times around, so this made it colder. We decided three loops (just over 16 miles) were peachy keen and called it a day after that. 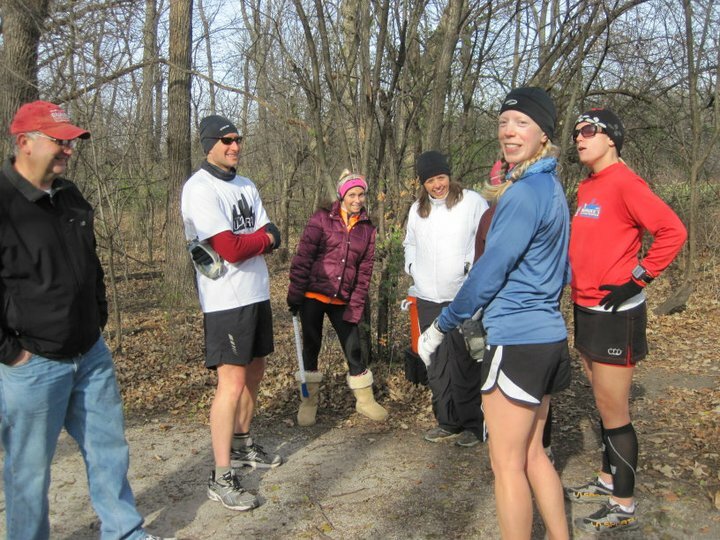 After we were done, we changed into warm clothes and left to grab some warm food with Sarah (who is making her return to running after a brief time off from injury...welcome back Sarah!!). 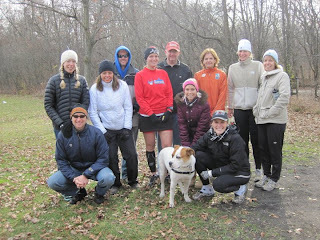 After refueling, we went back to Deer Grove to hang with the Brelly﻿ and cheer on the remaining runners. It was so COLD! Winter is well on its way in the Midwest. Sunday was spent relaxing, eating and planning! We waste no time! 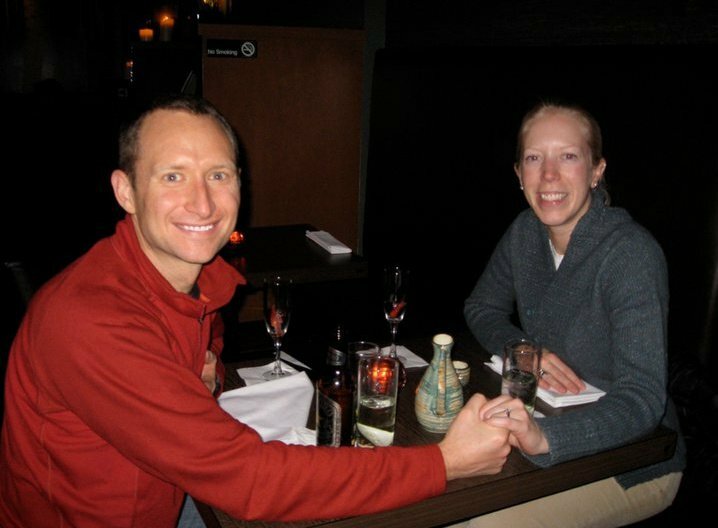 Needless to say, our date won't work out too well with Western States and the needed training for it, so we've opted to withdraw from the lottery for 2011. That's fine with me...I didn't really want to get in all that badly for next year! 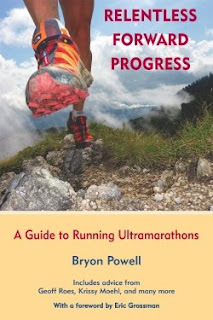 I'm thinking 2012 will be a better year for WS100 for this chick :) Of course, we'll be scoping out possible mid-summer, early fall hundred milers to fill in the gap (what, you didn't think we'd opt out of a 2011 hundred miler altogether, now did you?!). Oh, the choices! Looking forward to some more good running this week, some fantastic food, and wonderful company for the holiday. I hope you have a wonderful Thanksgiving! That's so awesome, congrats on your engagement! Speaking from personal experience, there's nothing like being married to your best friend! Congratulations! You can always try out the Pinhoti 100 close to here as a backup 100-miler plan. I'm looking forward to it, Jamie! Pinhoti is a very real option! Congratulations Paige and Geof!! May you have many happy miles together!! I'm so happy for you guys! And who cares about Western States when you're in loooove! :) Afterall, 2012 is just as good of a year. Might I suggest Tahoe Rim Trail, mid-July? ;) I hear it's mighty pretty. TRT is definitely still on the tentative schedule I do believe! Congratulations, Paige! We are so happy for you and Geof! It is completely awesome to be married to your best friend - what a fun and exciting time for you. This promises to be a wonderful and memorable Thanksgiving for you both! Indeed, HappyTrails! It'll be the first time both our families will see us since the engagement, weeeeee! Congratulations, that is super news! Can't wait to see which hundred miler(s) you choose.